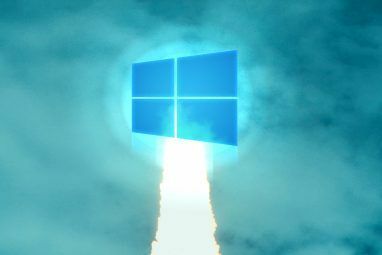 The Windows 10 Fall Creators Update is just around the corner Windows 10 Fall Creators Update Release Date Confirmed Windows 10 Fall Creators Update Release Date Confirmed The Windows 10 Fall Creators Update finally has a release date, but what will be included in the next big update? Let's take a look. Read More . And users and technology commentators are rightly focusing on the host of new features the major Windows 10 update is set to bring. But what about the other side of the coin? What about the features we’re set to lose? Let’s take a look at some of the core Windows features you’ll have to replace in the Fall Creators Update. The venerable Microsoft Paint application, genesis of art careers world-over, is being deprecated in the Windows 10 Fall Creators Update. You might remember the furor when Microsoft made their first announcement concerning the demise of Paint. Microsoft has ported many of the main features of old Paint into the newer, more feature-full Paint 3D. But, as ardent Paint supporters contend, Paint 3D isn’t the same and simply doesn’t behave like it. The result of the vast outpouring of support is that Paint is no longer being completely removed from the upcoming update. Rather, it will now be available for free in the Windows Store 7 Free Microsoft Paint Alternatives 7 Free Microsoft Paint Alternatives Microsoft has retired MS Paint in favor of Paint 3D. Not impressed? 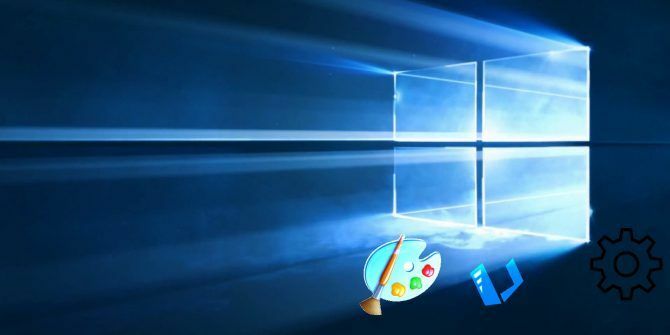 We have found free Microsoft Paint alternatives for all your image viewing and editing needs. Read More . There are a host of drawing apps available for Windows 10. If you need to quickly crop and resize images, Irfanview is a great lightweight choice How to Edit Your Pictures for Free with IrfanView Plugins How to Edit Your Pictures for Free with IrfanView Plugins IrfanView is a free image viewer for Windows. With the right plugins, you can turn it into a powerful photo editor. We show you how you can use IrfanView to improve your photos. Read More . If you need something more substantial, GIMP or Paint.NET offer a wide variety of editing tools 10 Free Photo Editor Tools To Make The Most Of Your Shots 10 Free Photo Editor Tools To Make The Most Of Your Shots Whatever happened to all the snapshots you've taken in the past? If you've got plans and ideas, here are some great Windows and some cross platform tools to process them with. Read More . And if you’re unhappy about installing things, you can always try online editing tools such as Pixlr Editor and Pixlr Express 10 Easy-to-Use Photo Editing Programs for Newbie Photographers 10 Easy-to-Use Photo Editing Programs for Newbie Photographers If Adobe Lightroom seems too complex for you, check out these easy-to-use photo editing programs for beginners. Read More . Or a new service, BeFunky. Finally, if you want to really look back in time, take a look at Cloudpaint. Have you ever watched a video of a telephone scammer in operation Don't Taunt Fake Microsoft Tech Support Scammers, Just Hang Up! Don't Taunt Fake Microsoft Tech Support Scammers, Just Hang Up! Performing a public service by taunting Microsoft tech support scammers? Things can turn nasty. Here's why you should hang up. Read More ? You’ve probably seen them use (or attempt to use) Syskey to lock an unsuspecting individual out of their computer. Aside from its use in telephone scams, Windows encryption tool Syskey is no longer secure 4 Syskey Encryption Alternatives for Windows 10 4 Syskey Encryption Alternatives for Windows 10 Windows encryption tool Syskey will disappear with the upcoming Windows 10 update. Here are four alternative tools to secure your data. Read More . As such, it is being deprecated, with Microsoft suggesting users update and move to BitLocker. Now, this is all very well and good if you have Windows 10 Pro, Enterprise, or Education. BitLocker is a core feature. But Windows 10 Home users have no such luck. Unless you’re already planning to upgrade to Windows 10 Pro for $99, I would suggest using VeraCrypt instead 5 Effective Tools to Encrypt Your Secret Files 5 Effective Tools to Encrypt Your Secret Files We need to pay closer attention than ever before towards encryption tools and anything designed to protect our privacy. With the right tools, keeping our data safe is easy. Read More . It is open source, has some excellent features, and also offers pre-boot authentication on full disk encryption. Syskey is almost unique to the update process: if your system is using Syskey as a security layer, it will not upgrade to the Fall Creators Update. This is another interesting choice by Microsoft, but one that makes sense. You see, different Windows 10 users use different sync processes. Namely, Enterprise State Roaming users. To fix this back-end issue, Microsoft is deprecating the current Sync Your Settings process and will introduce a new process in a future update. System Image Backup has long fallen from grace, but it’s still included in the Windows 10 installation package. The Fall Creators Update is set to remove SIB once and for all. System image backup completed successfully ? The introduction of low-cost (or even free) backup programs, alongside equally free cloud storage, means important files and documents are easily backed-up elsewhere. Interestingly, Microsoft “recommend[s] that users use full-disk backup solutions from other vendors.” This heavily suggests that Microsoft will not implement a replacement for SIB in a future build — and probably for the same reasons described above. Looking for an alternative? You have excellent, advanced free options like Cobian Backup The Best Backup Software for Windows The Best Backup Software for Windows Your data is fragile – it only takes one small accident to lose everything. The more backups you make, the better. 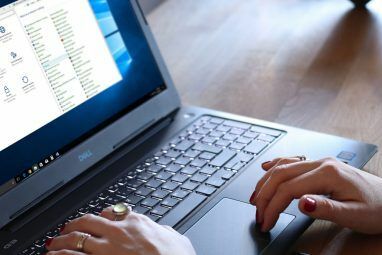 Here we present the best free backup software for Windows. Read More , or Paragon Backup & Recovery Free Edition, amongst others. Microsoft is also removing the Enhanced Mitigation Experience Toolkit, or EMET. EMET is a freeware security toolkit available to any user, acting as an additional security layer after the firewall, but before antivirus software. 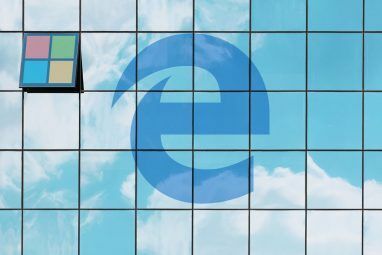 Microsoft has actually integrated and updated many of the core EMET tools into the new Windows Defender Exploit Guard (WDEG). WDEG will be available for all Windows 10 users following the Fall Creators Update. The introduction of WDEG for all users will give everyone opportunity to fine tune specific mitigation settings, such as image integrity blocks within specific applications. But if that doesn’t sound like your cup of tea, don’t worry — the standard settings will offer extra protection, regardless. These are five tools soon to disappear or be completely eradicated from Windows 10. The Fall Creators Update is making more changes than this, though. Check out the following lists. There are more than a few Windows features on the chopping block. Some, you’ve never heard of, and perhaps never even used. But others, like Paint, will be missed. Are there any features you’ll miss from Windows 10? What do you think about the Windows 10 Fall Creators Update? Let us know your thoughts below! Why in the world will they screw with Paint? It isn't hurting anyone. But it does bring joy and happiness to millions of faithful. I still use Windows 7 Paint on one desktop and so enjoy Windows 8.1 on my desktop 8.1. Leave it ALONE. Am I correctly reading that MS is killing the built-in screen saver? I use the text/clock screensaver at night so I can just glance over and see the time. I can't remember the last time I locked my PC, I even have it set to auto logon. I hate, not to mention can't trust, third party screen savers. I find it annoying that I can no longer right-click on the Start Button to launch Command Prompt or Control Panel. Sure I can pin it to the Taskbar but if I'm logged onto a computer for the first time setting it up (which I do often) then it isn't convenient. Microsoft is making their OS less productive and more like a cartoon experience with each new release. +1 can't believe they will be removing this feature. Solitaire or any other game that comes with the OS. What's the point of "buying" the OS if you are constantly bombarded to buy solitaire or something else that is already installed? I uninstalled solitaire because, well, it's just crap. Paint 3D is really bad honestly and proves the UWP apps aren't capable of replacing win32 ones. System image backup being removed is bad too and ms isn't even giving us a replacement. I think that Edge is becoming bloated. EMET being merged with windows defender is nice. So how with Windows 10 not going to be able too use any longer!! Outlook mail!! Don't really understand all the changes bc all this talk is jibber jabber to me!! This appears to all be free. 1) Create a folder for Paint. 2) Copy C:\Windows\System32\mspaint.exe to that folder. 3) Create subfolder(s) for the language(s) you use, e.g. en-US. 4) Copy the file mspaint.exe.mui from C:\Windows\System32\ to the language folder(s) made in step 3. Caveat: Though that is currently sufficient to run MS Paint, there may be other dependencies that are removed in future versions of Windows... pestudio lists 34 DLL's. Thank you for a very useful summary of deprecated and removed applications! How can a desktop app (MSPaint), which is not a "modern" (UWP) app, now be delivered by the Windows Store?? Win32 apps can be packaged into a modern .appx container file without having to change almost any code. This feature was introduced a couple years ago, and has resulted in apps like Spotify, Paint.net, Krita, Kodi, Photoshop Elements, and soon iTunes, now being available for download on the Store. The apps essentially behave the same, except they can be installed and uninstalled them with a single click (no .msi installers), get automatic updates, and run by default in a sandbox, making it much harder for any malware that might slip past quality control to do any damage to the system. In other words, Windows Store apps are safer and more convenient. The downside, of course, is the same as with any other app store: in exchange for hosting and distributing their apps, Microsoft gets a cut of the revenue from the developers.